Welcome back to The Deucecast Movie Show... It's the season of romance. The season of love. The season of... Valentine's Pink. 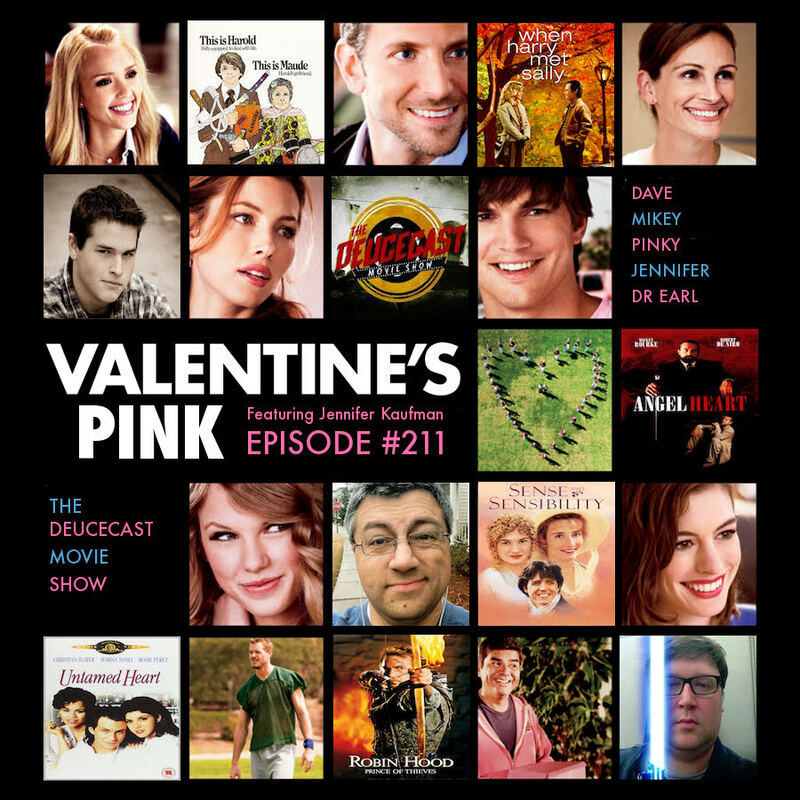 Mikey, Pinky & Dave welcome in film historian, Terence Malick apologist and Doctor (of love), Dr Earl to talk about Valentine's movies. And what would a Valentine's Day be without a female voice? So the hosts welcome The Delightful Life Podcast host and friend of the show Jennifer Kaufman! The gang takes on their favorite period piece movies... Defining period pieces all different ways, movies like Sense & Sensibility, Dangerous Liaisons, Remains of the Day and... Django Unchained. What. 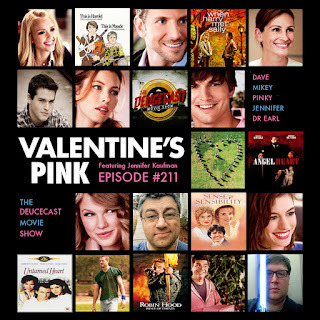 And then Valentine's Pink 2016 has Pinky reviewing the movies assigned to him, like Harold & Maude, Robin Hood: Prince of Thieves, When Harry Met Sally, Angel Heart (!) and the legendary classic... Untamed Heart. Finally, Pinky also reviews the latest Pretty in Pink, The Last of the Mohicans.